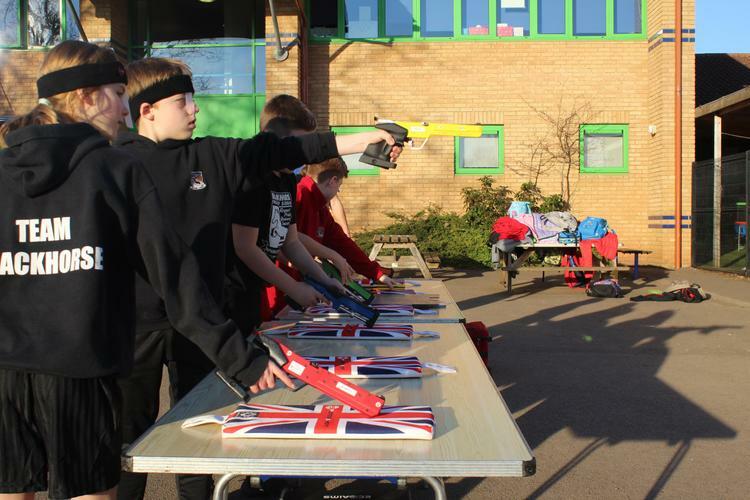 The club, run by a qualified Modern Pentathlon coach from Bath University, will teach children how to shoot laser pistols, linked to a fun and energetic running event called ‘Laser Run’. This sport is currently only taught in independent schools and Blackhorse will be the first state school in the UK to introduce it. The coach will be coaching students how to shoot safely using Laser Pistols and targets, which will initially be in the Hall and later outside to incorporate some running as well. Laser Pistol shooting forms part of the last event in Modern Pentathlon (as seen in the Olympics), called Laser Run. It is also now a stand alone event with competitions up to World Championships. Laser Run starts with the athletes entering a shooting range where they use Laser Pistols to hit a target 5 times (up to a maximum of 50 seconds), before running and returning to the range to shoot again. This happens up to a maximum of four times finishing with a run after the last shoot, and the number of repetitions and distances vary according to age and the competition to suit everyone. Cost: £5 per session (Families in receipt of Pupil Premium = Free).